There is something about a fresh morning breeze - something soothing, refreshing and comforting. It embodies, in its purest form, nature’s power to heal. Ensconced in deep silence, letting your breath flow free as you revel in a restful, calm state of mind, you awaken the healer within you and move towards true well-being. At The Oberoi Spa within The Oberoi Sukhvilas Resort & Spa, Siswan Forest Range, New Chandigarh, you are guided with care and compassion towards greater wellness for your body and mind alike. The concept of sukh, implying a goodness of space within and around you, lies at the heart of the spa and its Upavasa programmes, aimed at enabling you to nourish yourself at the deepest level and create a space of well-being within and around you. Each of the Upavasa programmes intends to guide guests along a natural and effortless path to wellness and healing. Creating a conducive environment based on the principles of Ayurveda, a system of medical knowledge that embodies a way of life to address not only the body and mind but also the human spirit. While the word upavasa is often understood to imply denial or abstinence, the notions of awareness and mindful usage of thought, word, action and even food lie at the heart of the concept it signifies. It symbolises a path towards sukh at physical, mental, spiritual, social and environmental levels. All Upavasa programmes at The Oberoi Sukhvilas Resort & Spa have been designed to alleviate discomfort at each of these levels. Every part of these programmes enables deeper exploration of the self, a practice essential for the attainment of wellness and happiness. Guided by the consulting Ayurveda physician, guests receive rejuvenating treatments carried out using customised combinations of herbs for internal consumption and body oils for external application. By helping you choose the programme most suited to your needs, the physician steers you towards a better understanding of your body and mind, and facilitates a more long-term commitment to well-being. All programmes have, therefore, been designed to incorporate an element of challenge - a test of your tolerance levels to achieve a sustainable way of life. Spread over seven, 14, 21 or 28 days, Upavasa programmes are a combination of the resort’s nurturing environment, Ayurvedic healing, yoga for emotional wellness and overall spiritual nourishment. Geared towards rejuvenation, weight-management, stress-management or detoxification, they encourage those who partake of them to spend time ensconced in the healing energy of the forest through guided forest bathing, stargazing and birdwatching. They can also pursue simple and meaningful activities such as gardening, walking, cycling and handicraft-making while inculcating the practice of mindfulness in every action. 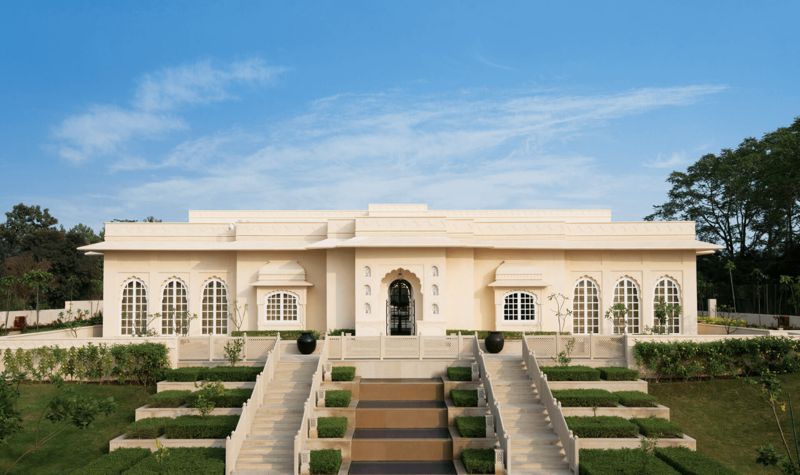 A beautiful, tranquil space filled with light and silence, The Oberoi Spa at The Oberoi Sukhvilas offers a therapeutic oasis to anyone seeking holistic healing of the mind and body. The array of treatments on offer here is complemented by an infrared sauna, aromatic steam, hydrotherapy pools and a heated tepidarium. Spread across 12,000 sq ft and flanked by lush forest cover, it offers a veritable sanctuary of relaxation and rejuvenation. Partake of life’s simple pleasures here - watch the flowers bloom, water the plants and nurture yourself as you nurture them. Surrender to the power of natural healing, embrace your true self and tap into the abundance that lies within you.